Go into the magical world of “The Arabian Nights” knowns as:“Alf Leila Wa Leila. Stories and myths from Egyptian and Arabian history represented with horses. Dinner shall be served before the show started. 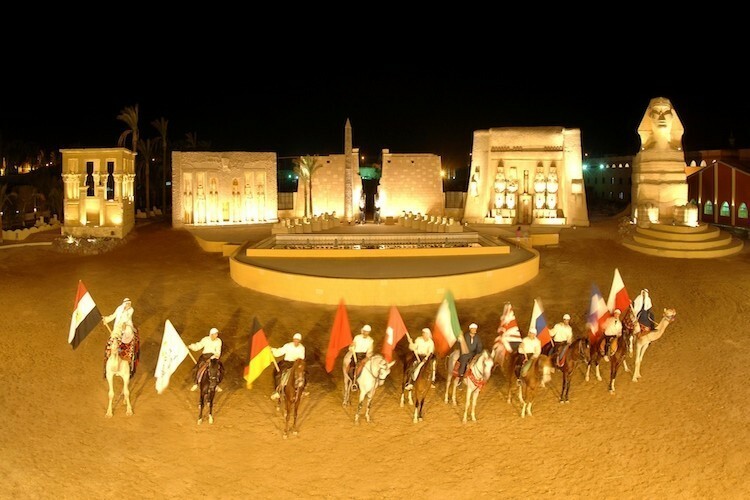 Nile Sun Travel representative will pick you up from hotel in Sharm El Sheikh to attend Alf Leila Wa Leila Show (The Arabian Nights). reveal the Secrets of the civilization, beauty and art all under one crown.The exquisites pharaonic and Bedouin live music performance demonstrates the precious legend about the history of the old ears along with the mind-blowing architecture which is great. 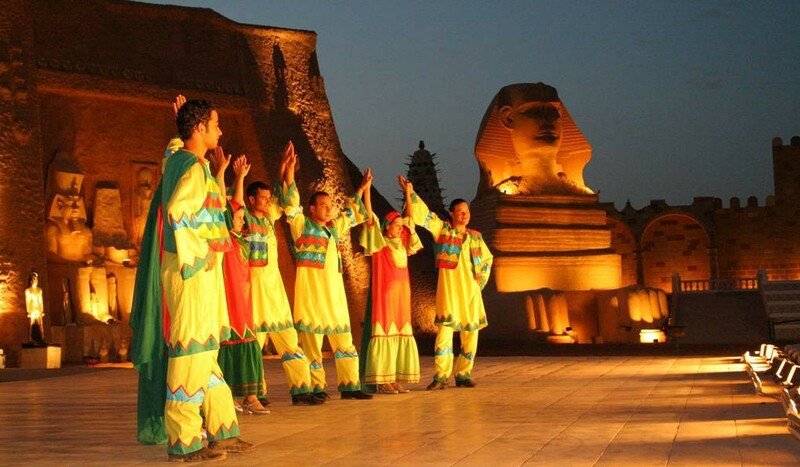 Also you will see the castle with its towers and domes that reflect the Islamic civilization.After that enjoy the Egyptian folklore, hours acrobats and the dancing fountain. Then move to the oriental night Egyptian songs and oriental belly dancing.A moroccan dinner will be arranged before the show. Then transfer back to the hotel and overnight in Sharm.